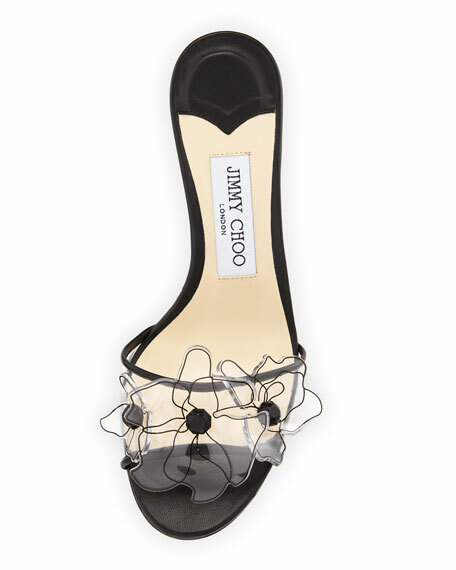 Jimmy Choo "Saskia" clear plexiglass sandal with 3D floral applique. For in-store inquiries, use sku #2439572. Christian Louboutin suede pump with spiked trim. 3.3" covered heel. Pointed toe. Slip-on style. Padded footbed. Signature red leather outsole. "Anjalina" is made in Italy. 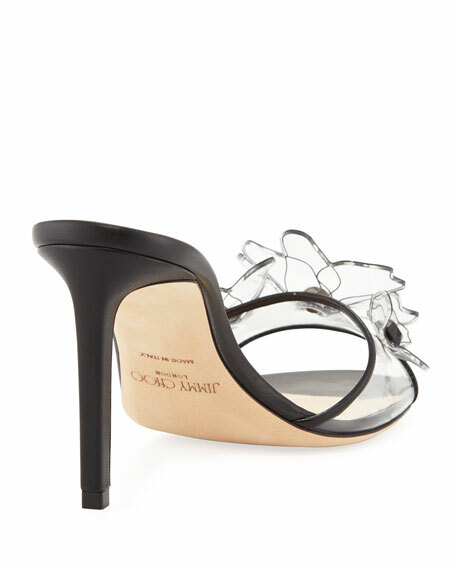 Christian Loubtoutin round-toe patent leather pump presents signature red sole. Low-cut vamp lengthens legs. Tonal topstitching reinforces collar. 3.3" covered heel. Leather lining and sole. "Simple" is made in Italy.